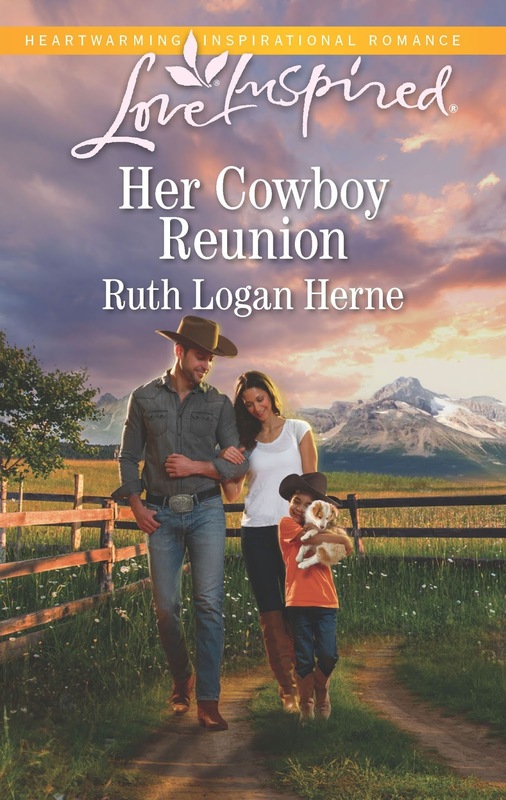 Seekerville: The Journey Continues: Her Cowboy Reunion Release Day!!! 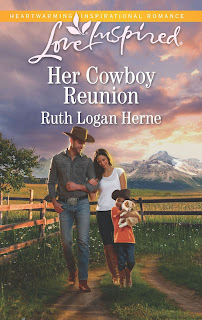 Her Cowboy Reunion Release Day!!! SHEPHERDS CROSSING MEME HERE. IF I GET ONE MADE!!! And a whole block of new Westerns that I've written! How silly of us! With so many folks striving toward that same goal, how frightfully thin of us to treat it like casual news. I'm here to say there is nothing casual about it.... so today we celebrate a new book... a new series... a new setting in western Idaho and a whole new cast of characters. The Bible tells us to celebrate good times. The Lord wishes his people joy. That joy, joy, joy, joy down in their hearts. And celebrating things like this isn't lauding... it's recognizing that we should never take success or opportunity for granted. It should be worked for and attained... but not casually expected. So today there is no big writing lesson to be learned. Today there is simply time to have fun. To realize that some rewards take longer than others (yes, I wrote for seven years before I got The Call)... and that with those rewards comes humility and a paycheck. And the fun of writing westerns and cowboys and cattle, sheep, donkeys, horses, dogs, cats, kittens, puppies, birds.... There is something so refreshing about being part of the land in these stories. And while Shepherds Crossing (the town) needs a fair share of work, the people coming to town-- and staying-- have some great ideas. I think you'll love book one, a great reunion romance... and book two is a Christmas novella that is packaged with the very most wonderfully engaging and delightful Linda Goodnight. What an absolute joy to work with her! You're too busy to sit around moping. We'll have more reasons to celebrate this year, for lots of us, but today, if you're looking for a beach read, or a nighttime read, or an afternoon on the porch read.... Well, shucks, ma'am. Or find this wonderful book on the shelves at Walmart, Kroger, Winn Dixie or wherever mass market paperbacks are sold! I wasn't sure what to bring to a western themed party but I figured I couldn't go wrong with brownies, right? And I frosted them because it's a special occasion and maybe we could add some vanilla ice cream and drizzle on some chocolate sauce because it's not every day we get to celebrate a book release -- nope, just 40 or so, right, Ruthy? Congratulations on the birth of this awesomesauce book. I'm hoping for lots more coming out of Shepherd's Crossing...and maybe one about Jace, pretty please. OH MY STARS!!! You had me at hello, Kav!!!!!! Read it and loved it Ruthy! Can't wait for the next one! Jackie, I'm so glad! Your opinion means so much to me! Ruth, congratulations on this release. (I know of at least one author of Christian fiction who had a book release today, and he will be posting here Thursday). hahahahah! Yes, you do, my friend! I am so blessed to have these opportunities, Richard, and that includes hosting nice folks like you in Seekerville!!!! Congratulations, Ruthy!!! I’m putting a plate of double chocolate cookies on the celebration table. Since I’ve lived in many small towns in the west, I’m quite excited for your new series set in Shepherd’s Crossing, Idaho. Yay! I love this series so much, Sherida... the setting, the sad little town, the changes in the ranching industry, and then that old God-guy comes along and change starts happening!!!! Congratulations, Ruth, on this your latest release. I agree your announcement here is not boasting but rather it's recognizing that every success or opportunity is not to be taken for granted. All the best with all books in this series. Tnanks for the opportunity to send kudos your way. I'm putting a bowl of fresh strawberries on the table. Pat Jeanne!!!! I am so excited for you, my friend, and your wonderful news!!!!! Elk Lake Publishing, right? Pat, that's awesome!!!!!! Congratulations, Ruthy! I'm always happy to join a party. Just checked. My B&N has this in stock so I know what my reward for making tomorrow's word count will be. I don't guess you want me to share the Beet Burgers I made for Yankee Belle for tomorrow, eh, Ruthy? Okay, we'll stick with the brownies for tonight. Beets with butter and salt. I love 'em. I can't envision a burger with beets, but I live to be surprised!!! Congratulations, Ruthy! Seems like you have a new book coming out every month. You're a writing machine, and they all look and sound so fantastic! Yay for a book set in western Idaho! Let me know if you need to come out this way for a research trip. I have extra bedrooms! You're welcome to come and stay a while. I sure hope there are some of Kav's brownies left, because. . . chocolate! Oh, Winnie what a sweetheart you are. Thank you! And it does seem like a lot of books, doesn't it? Of course the three re-issues help with that, and I'm so glad folks are loving them. Well, this is my kind of party...brownies, double chocolate cookies, strawberries! I'll be right over. Thank you for the invite and on such a wonderful occasion. Congratulations on your newest book. Looks like my TBR pile just got taller. Thank you, Anne!!!! And who can resist a banquet table like that???? Oops! I missed the party yesterday, but not the book release! I made sure to post my review to get your 5 star rating going! Enjoyed Her Cowboy Reunion thoroughly! And I have been known to eat leftover celebration goodies for breakfast so I hope there are brownies left. If not I'm going to have to dip into those volunteer cookies or maybe a smidge of that Abbott Custard. Congratulations again and again and again, Ruthy!You are incredible...like a superhero with secret writing powers. I want to be you when I grow up. Hahahahaha! I'm so glad they love this series at Love Inspired. They have been marvelous to work with, and to have three Shepherd's Crossing books coming out in four months time... well that's a dream come true. F L A G R A N T! Flagrant assumes the information is unwanted! I come to Seekerville to get news of new Seeker releases. I'll tell you what is FLAGRANT: coming to Seekerville every day and then finding out somewhere else that a Seeker has had a new book out for the last two months and I never heard about it!!! A young saleman tried for a year to get in to see the CEO of an important potential client company. After speaking to the esteemed executive for about two minutes, the CEO spoke up: "Son, are you trying to sell me something?" "No sir," the young salesman said. "Then what are you doing in here? What are you a professional visitor?" Clarification: I meant 'flagrant' in the sense of: "a flagrant violation of basic marketing principles." Amy, I agree.... we don't want to be jaded. Jaded people are just plain annoyin'! How can we ever forget to celebrate new releases??? I hope I never take a new contract or new release for granted! Because in this world, nothing is a given. So pass the chocolate! And it's so good to see Captain Jack again! Congratulations Ruthy! What an exciting celebration! If there's any tea left, I'd love some, especially Peach Tea, or an Arnold Palmer! Do ya'll have Arnold Palmers? On my way to order the book now!